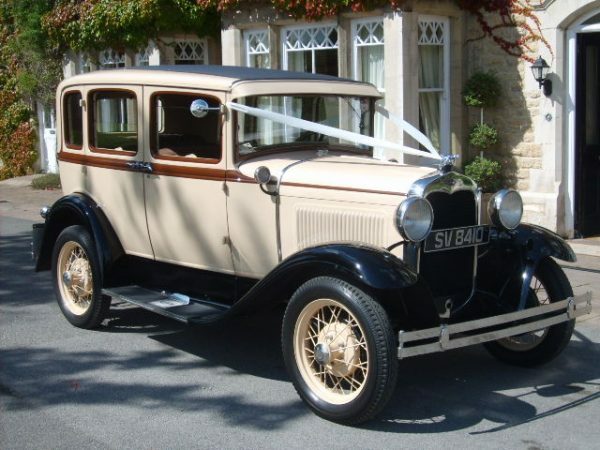 Manufactured in 1936, the Austin Hertford has a 16hp 6 cylinder engine. It is a very original car with a totally original leather interior. It has a sliding roof which provides some welcome ‘air conditioning’ on a hot day. It is deceptively spacious inside and will provide you with a very smooth, comfortable ride on your special day. It’s distinctive colour of black and maroon will provide you with some stunning photos. Manufactured in 1930, the Ford Model A has a 24hp 4 cylinder engine. This particular car was imported from Nova Scotia, so is left-hand drive. Although quite a basic car, it has a comfortable cloth interior and although it has a narrow door, it has plenty of room inside. It has a cream body with black wings, and has a forward opening windscreen so will provide a welcome breeze on a hot day if necessary. Should you require 2 cars on your special day, the Ford and Vauxhall make a stunning almost matching pair. Manufactured in 1930, the Vauxhall has a 20hp 6 cylinder engine, and was bodied by Grosvenor Coachworks. This is a very rare car. It has a side mounted spare wheel and benefits from a glass division between the chaffeur and passengers. This is a very impressive, very spacious car with a comfortable cloth interior to the rear and vinyl interior to the front. It also has 2 fold-down occasional seats which enable you to transport 5 passengers in the back, so is a must if you have a number of bridesmaids. It has lots of glass so you will be seen on your special day. It is cream with brown wings so makes a stunning pair with the Ford should you require 2 cars. This car is very popular and gets booked up early. 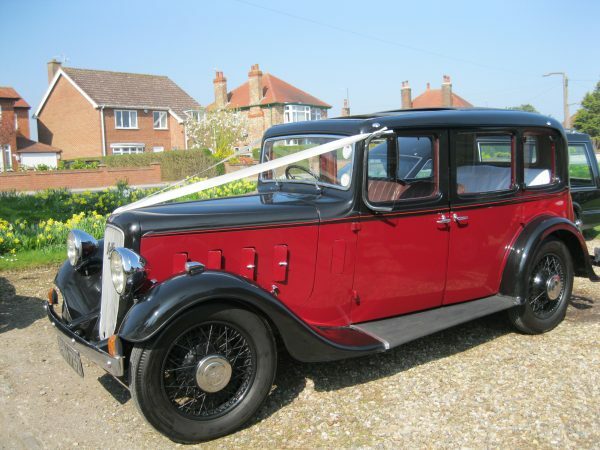 Manufactured in 1935 the Armstrong Siddeley has a 17hp 6 cylinder engine with a pre select gear box and is a rare car. This beautiful car is very original only having benefitted from new paintwork which is blue on the body with black wings. It has a very luxurious blue leather interior with a sliding roof and will provide you with a very comfortable ride. 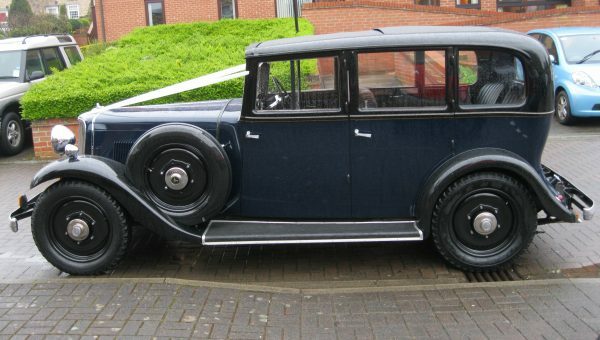 It looks very gracious and classy with its sphinx on the bonnet, side mounted spare wheel and D shape back, it is stunning in every way and will provide you with some wonderful photos. 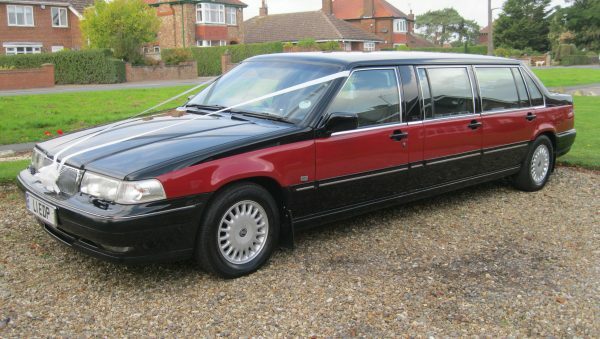 Volvo Limousine. The Volvo Limousine in black and maroon is perfect for winter weddings with its warm heater and luxurious grey leather interior. The limousine seats 7 passengers in comfort so is very useful to transport a number of bridesmaids or VIP guests. 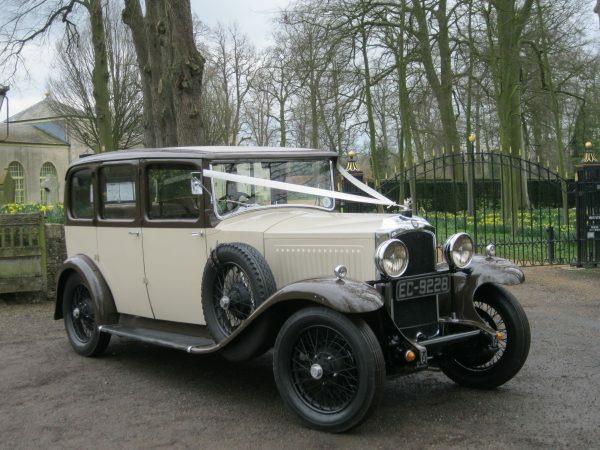 As the main bridal car it is perfect for anybody on a tight budget but who wants a special car. It is also a perfect match with the Austin Hertford as a second car. Prices are for a 10 mile radius of Malton and include 2 runs from pick up address to church if feasible. This must be agreed at time of booking as should all your requirements, as anything not discussed and agreed at time of booking may incur further charges at settlement of balance. 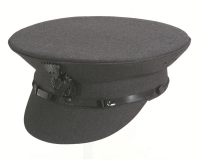 We will be happy to quote for venues further afield.